Here is a short list of our most commonly asked questions. Please feel free to contact us if you need information that is not listed here. A tuxedo is a suit with added touches such as a satin lapel. Satin trim along the pockets and down the side of the pants. The tuxedo makes a statement and is considered a more formal look. Although we can always put an outfit together on short notice however we encourage you to book your wedding party at least 3-4 months in advance of your event. It will give us the time we need to make sure everyone looks great and you get the look you want. If you plan on wearing the suit or tuxedo more than once a year you should consider buying. If you wear it less than once a year a rental would probably be the best option as popular colours and styles can change. I have groomsmen from out of town, how do we arrange a fitting for a rental? 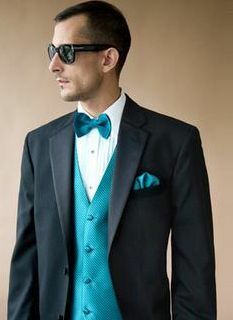 Have your groomsman drop into any formal wear store and explain to them that they have an wedding in another city and need tuxedo measurements. Most will accommodate them as it is a common courtesy among formal wear dealers. When you receive their measurements simply relay them to us. We will do a final fitting we the garments are picked up. I have groomsmen from out of town, how do we arrange a fitting for a suit purchase? We will give you a set of detailed measurements that we will need to get things started. From there your Mallabar consultant will guide you though the rest of the process. What style does the Ring Bearer usually wear? The most common theme for weddings when a Ring Bearer is present, is to match the style of the Groom. 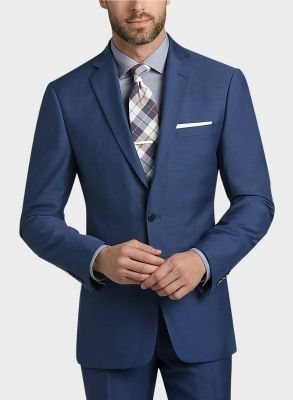 Do you offer sizes for big and tall gentlemen? We offer big and tall options in both our rental and purchase departments. For example our largest rental tuxedo is a size 76! Should the groom try on his tuxedo / suit before he rents or buys? It certainly helps because not all suits and tuxedos are cut the same way. Trying on helps to ensure a proper fit, ensuring the groom looks his very best. Brides don't usually buy a dress without trying it on. Do you rent shoes with your tuxedos? ​Yes, we have five different styles of shoes to choose from. Usually wedding parties rent shoes to ensure that everyone looks their best. We also have special order shoe program if you would prefer to purchase your shoes. Why are your prices so much better than your competitors? We work very hard to keep our overhead low. We do this by working with our suppliers to hand pick our offerings so we don't overstock our inventory but can still offer a massive selection through our special order process. We are also constantly looking for products that are not only high quality but also provide exceptional value.